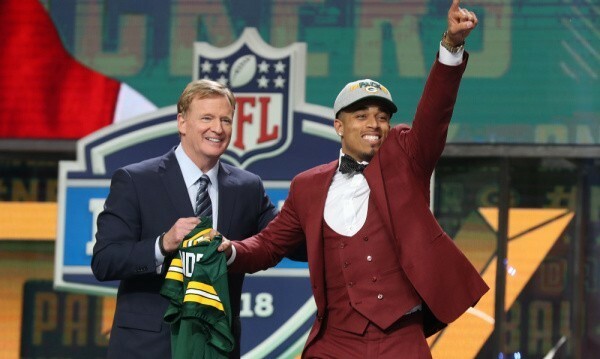 The first 13 picks couldn’t have worked out any better for the Packers on Thursday night in Arlington, Texas. With four quarterbacks and offensive tackle Mike McGlinchey selected in the top 9, new general manager Brian Gutekunst had his choice of either Virginia Tech’s 19-year-old linebacker Tremaine Edmunds or Florida State’s dynamic hybrid safety Derwin James. It seemed unlikely that either would be around at 14 when the round started, let alone both. But instead of doing the expected, Gutekunst made a trade with New Orleans that netted the Packers three picks – Nos. 27 and 147 this year and a No.1 in 2019. Whether this was a stroke of genius or an example of a new general manager getting a little too cute for his own good will be determined a few years down the road. 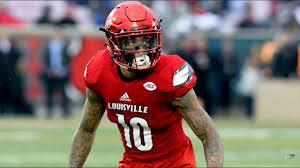 Perhaps Gutekunst truly believes that Jaire Alexander – picked at 18 after yet another deal – is every bit as good as Edmunds or James, but an honest analysis of all three players makes that a pretty tough sell. 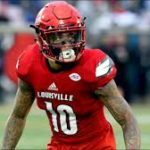 While Edmunds and James are unique athletes perfectly suited for today’s NFL, Alexander looks like the type of corner teams usually take late in round 1. And that’s not a knock on Alexander. There’s absolutely no questioning his talent, but he’s also 5-foot-10 and lacks explosive leaping ability. This makes him susceptible to 50/50 balls – something noticeable on tape even when he was 100% healthy as a sophomore in 2016. He also has a frail build that won’t alleviate concerns about his durability. He missed 6 games last season with a sprained knee and a broken hand. On the positive side, Alexander ran 4.38 at the Combine, and more importantly, he plays nearly that fast. He’s the most fluid athlete the Packers have had at the position in years. He’s capable of preventing separation on short passes to quick receivers over the middle and flipping his hips to run with burners down the field. He’s also not afraid to tackle. At best, Alexander has a chance to be a slightly slower, slightly quicker and slightly more physical version of Sam Shields. At worst, he’ll be a really good nickel back. Alexander will be expected to play right away for the Packers. He’ll likely compete with veteran Tramon Williams for the starting job opposite second-year man Kevin King in the base defense. Regardless of how that battle turns out, expect to see Alexander move to the slot in sub-packages. Not only is he perfectly suited to play that position, but as of now, he’s really the only corner on the roster with the skill set to match up with quick receivers like Detroit’s Golden Tate, Minnesota’s Stefon Diggs and Chicago’s Tyler Gabriel. He could also be used as a punt returner, where he averaged 9.9 yards and scored 1 TD in college. Because of my great fondness for James and especially Edmunds – not to mention my desire to win right now – I probably would’ve stayed at 14 and kept the third-round pick eventually sent to Seattle. But as is the case with all moves made during the draft, we’ll have to wait a few years for a verdict. If Alexander becomes a Shields-type cornerback and Gutekunst turns the No. 1 pick from the Saints into another quality starter, then this late April night has a chance to go down as one of the best in recent memory.